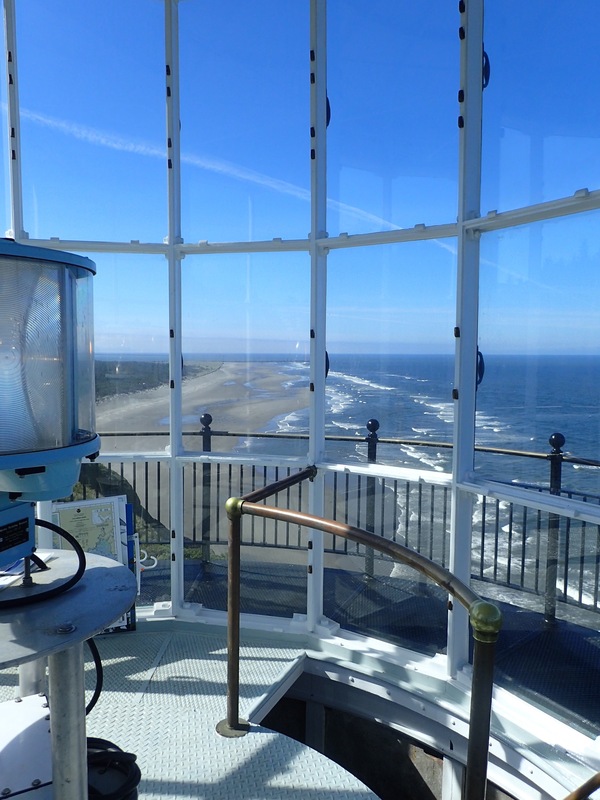 As mentioned in several previous posts, when Nina from Wheeling It put out the word that Cape Disappointment State Park had a late cancellation for one of their planned lighthouse guide couples, we thought that it might be one of the rare opportunities for us to volunteer without having to commit to a month or more like state park usually require. Sure enough, once we got hold of Stephen, the volunteer coordinator, he readily accepted just a two week commitment since they were in significant need. He would get two more volunteers, and we would save some money in the form of a free full hookup camping site while enjoying a lot more human interaction than we normally get, all while in one of the more beautiful state parks in the region. We had two days of preparation before actually starting, which generally consisted of reading a big book of historical material and deciding on division of responsibilities, and then an hour or so of discussion with Stephen before jumping right in at the North Head lighthouse, one of two lighthouses in the park but the only one open for tours. 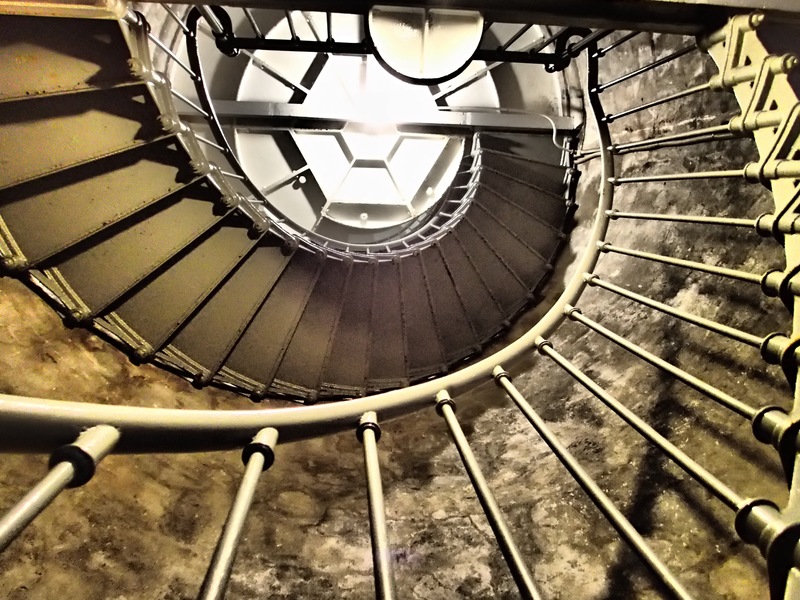 Rose manned the entry room and cash register, arranging and organizing the groups, while I conducted the tour in the upper portion of the lighthouse. The structure is 117 years old, but has been heavily refurbished in recent years. Since it had only been recently reopened after one such project, and since we were there during a weekend with beautiful weather, we were nearly full during all of our shifts, conducting tours in groups of eight in 20 minute intervals. That pace makes the day go by quite fast. 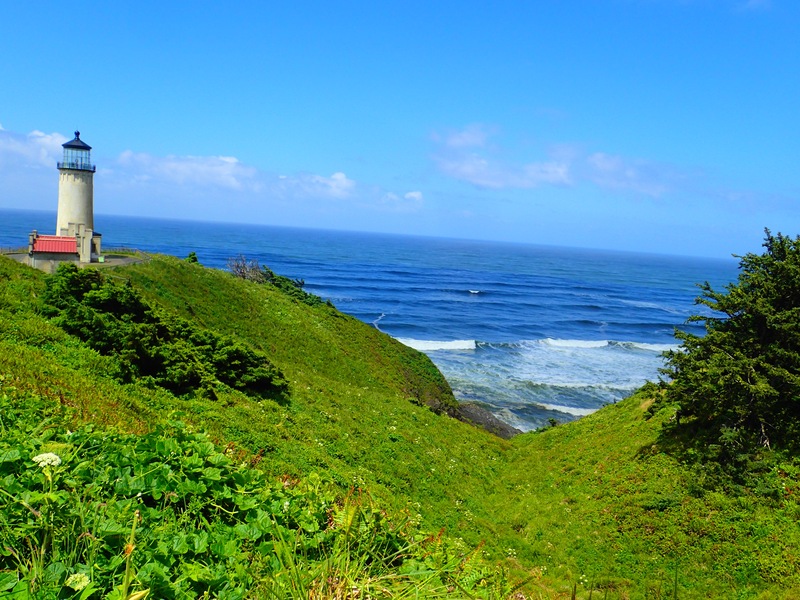 The gist of the deal with Cape Disappointment is that volunteers get a free campsite, in this case valued at $45 a night based on season rates and amenities (full power and water) in exchange for working three or four half days each week. We enjoyed the actual work, loved the ocean side campground, and saved a lot of money, not just on campsite fees but also because we were pretty isolated out at Cape D with few opportunities to spend. The one downside to the experience was the lack of any cell phone connectivity at our site. In order to make a call we had to bike down the road a mile, and to use the internet we continued another mile to the one shoppette/restaurant on the grounds, a nice pizza place with wifi for customers.